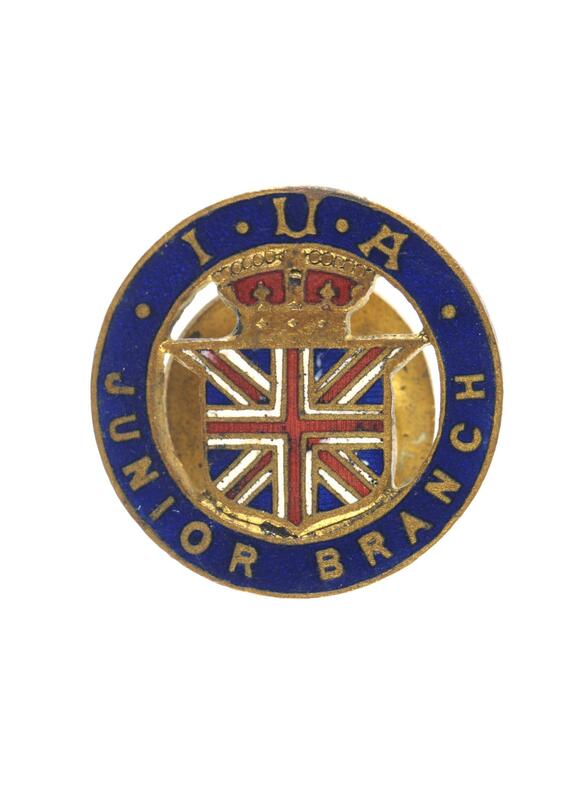 Irish Unionist Alliance, Junior Branch badge with a half moon fastening on back. A circular ribbon, blue enamelled inscribed in gilt "I. U. A. JUNIOR BRANCH", in the centre a crowned shield, on which a Union Flag. The Irish Unionist Alliance (also known as the Irish Unionist Party) was founded in 1891 to oppose plans for Home Rule. The party was mostly led by Colonel Edward James Saunderson. The IUA was replaced by the Ulster Unionist Party (UUP).